Janet Susin said during her family’s first visit to the emergency room after her 16-year-old son was diagnosed with schizophrenia, the hospital staff had only one concern. “The first question we heard wasn’t, ‘how’s he doing?’ It was, ‘do you have insurance?’” Susin said. 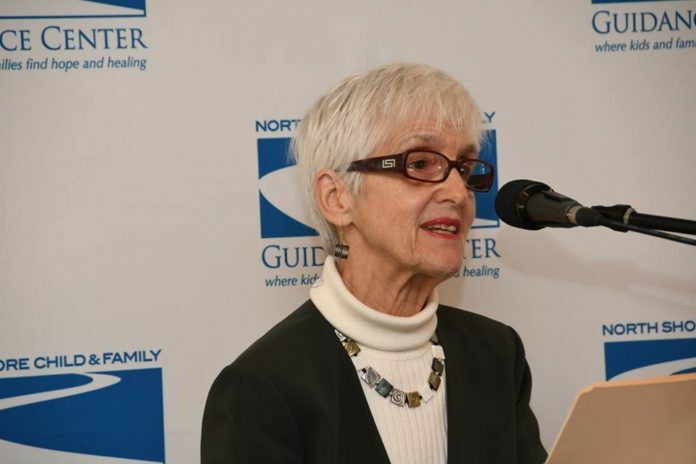 Susin was among a group of concerned relatives, public officials and caregivers at a press conference held Monday by the North Shore Child and Family Guidance Center to discuss the results of a year-long study titled Project Access that examined the ease or difficulty with which patients and their family have accessing mental health and substance abuse care, especially through insurance providers. North Shore Child Guidance Executive Director Andrew Malekoff said that as part of the study, a 41-question survey was completed by 644 people who answered questions about demographics and experiences as well as an open-ended question for personal stories about the process. Malekoff said fewer providers accept commercial health insurance plans because their rates of reimbursement are often lower than Medicare rates. According to Project Access results, almost half the participants said it was more difficult to find help for mental health or substance abuse problems than care for physical ailments, 40 percent said their insurance providers did not have an adequate number of providers, and two-thirds said their insurance company was not helpful in finding a mental health care provider. State senators Todd Kaminsky (D-Long Beach) and Elaine Phillips (R-Flower Hill) provided a bipartisan front from the state Legislature, both sharing stories of family members who suffered from mental health issues and struggled to receive help. Kaminsky and Phillips both said they would write letters to Gov. Andrew Cuomo and the state Department of Financial Services with the Project Access data and their concerns about the issue. Phillips also said if needed, she would support legislation to make mental health care more accessible and affordable across New York. North Shore Child and Family Guidance Center partnered with LIU Post for the research, and social work professor Elissa Giffords said the school received approval from their institutional review board before administering the survey to human subjects and placed surveys in waiting rooms and posted flyers with a link to the survey as well. Susin, a past president of the Nassau-Queens chapter of National Alliance on Mental Illness, was a teacher, and her husband was a doctor at North Shore Hospital during that hospital visit 30 years ago, and she quickly learned that while her policy had $1 million worth of mental health coverage, her husband’s only offered $40,000 for the family for life. Soon after their visit, her son, now 47, was prescribed an anti-psychotic medication and has not been in the hospital since thanks to the care of an excellent psychiatrist — a psychiatrist who charges $250 per visit and does not take insurance, Susin said. Susin said while their psychiatrist was willing to try working with her insurance company, the agreement ended less than a year later because the psychiatrist believed the rates were too low and receiving payments from the insurers was a hassle. Susin said she has paid out of pocket ever since. Social worker Kerry Eller also spoke about the struggles of her teenage sister, who has dealt with mental health and substance abuse issues since she was 11. Her mother was a single parent, trying to manage two younger boys while fighting to get her daughter the care she needed. Eller said her mother often blamed herself, asking if she caused these problems for her daughter and whether she was enough of a mother to care for her children. “When anyone in my family had some kind of physical ailment, there were no issues getting care,” Eller said. “When I needed my tonsils removed, I wasn’t directed to multiple doctors just to find one that was one willing to provide me with the medically necessary treatment that my condition required. There is such a sigma related to psychiatric and substance abuse related disorders, which makes it scary to reach out in the first place.